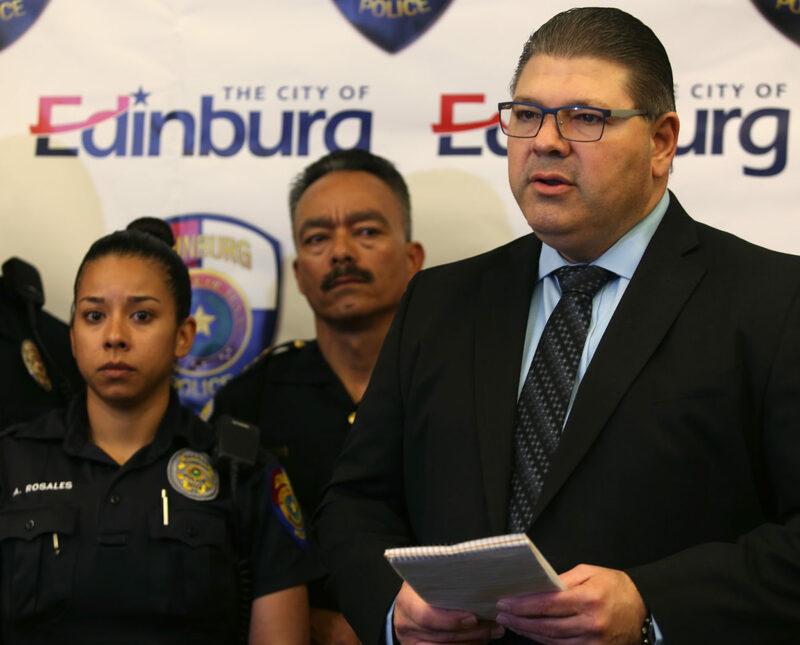 EDINBURG — The officer-involved shooting death of what local police described as a knife-wielding, suicidal man on Wednesday night is under investigation by the Texas Rangers. Edinburg Police Chief Cesar Torres, who took the department’s helm last month, held a news conference Thursday — the department’s first in recent memory — to share more details of the incident. 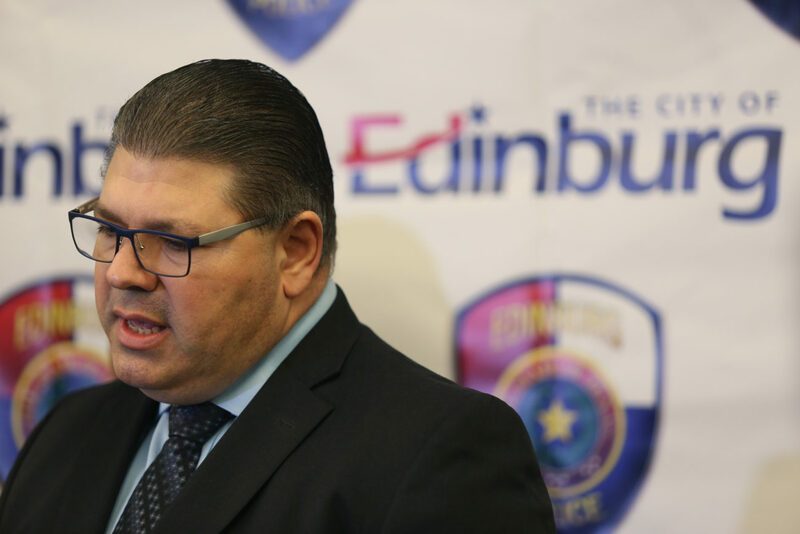 But Torres took no questions from the media “as a result of it being under investigation,” and spokesman Lt. Oscar Treviño instead read from a prepared statement. 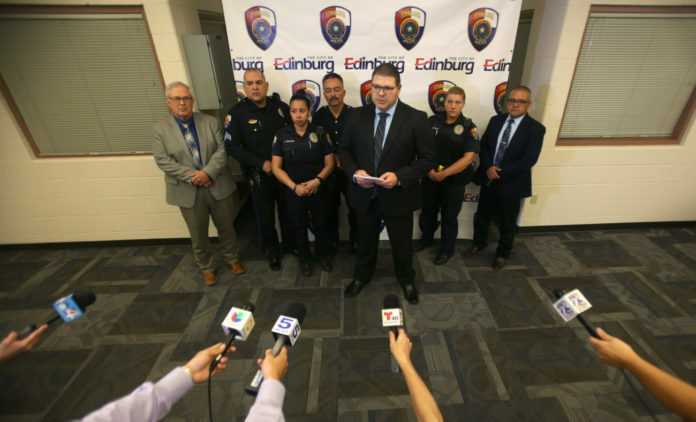 According to Treviño, Edinburg police responded to a home in the 2900 block of Pablo Street at approximately 11 p.m. Wednesday with regard to a domestic disturbance in progress, in which an allegedly suicidal individual had assaulted a female. 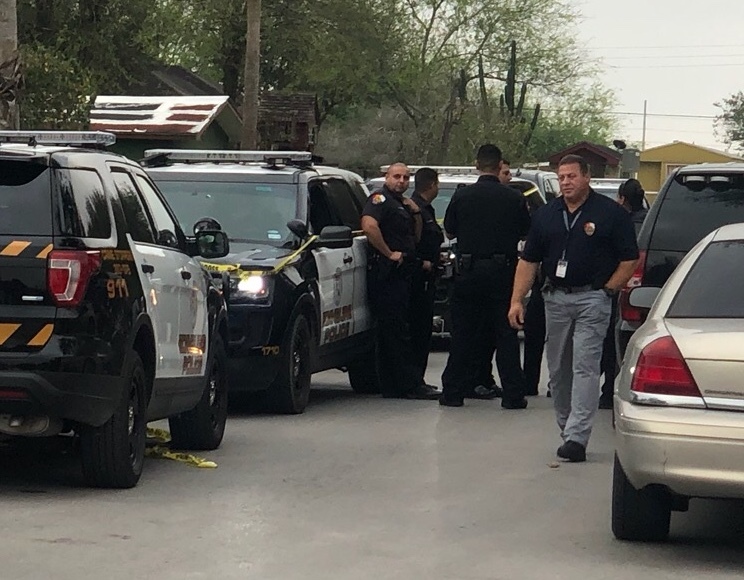 Upon arrival, officers found 48-year-old Hunter Alan of Edinburg inside a bedroom, allegedly holding a knife to his throat and threatening to kill himself. Police used a taser on Alan after he did not respond to officers’ verbal commands before shooting him multiple times. 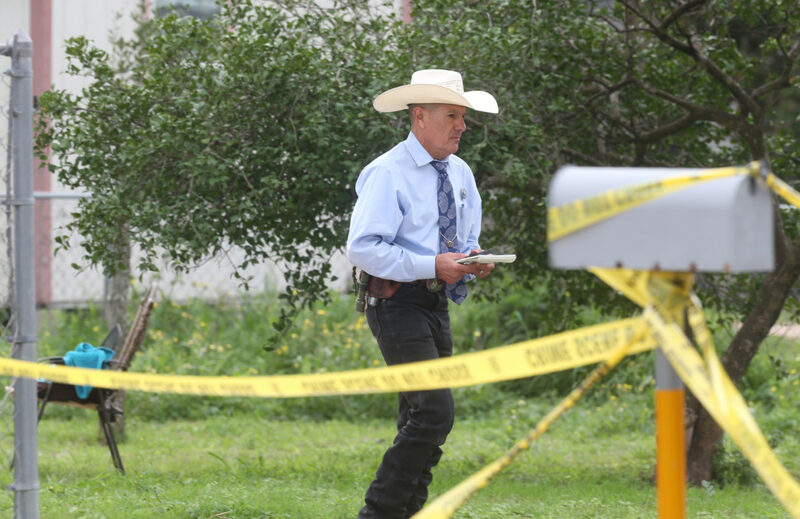 The shooting occurred, according to police, after he verbally threatened officers and “raised his arm, knife in hand, and charged at the officers in an aggressive manner in an attempt to stab them,” Treviño said. Alan died at a local hospital. The department did not specify how many officers were involved in the incident, only saying the officers had been placed on administrative leave with pay pending the outcome of both the Rangers’ investigation and an internal affairs investigation. None of the officers who responded to the call were injured. 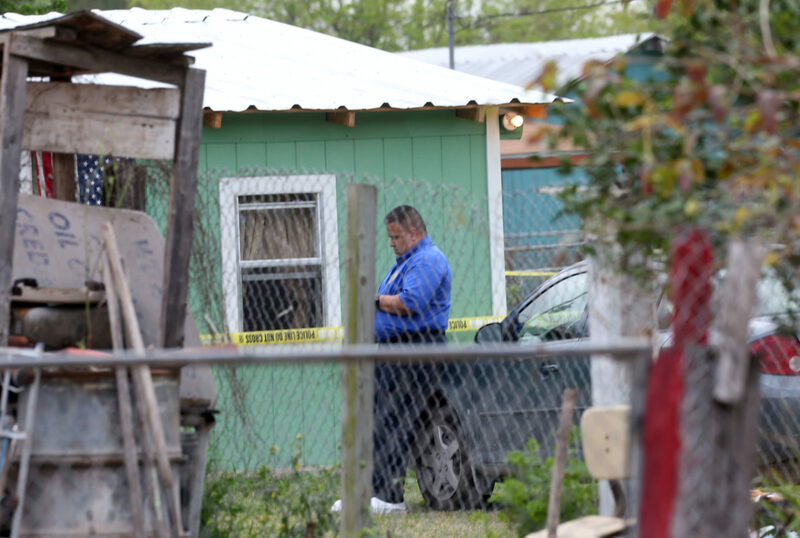 This is the second officer-involved shooting involving Edinburg police in two months. Last December, police shot a 46-year-man who was intoxicated and wielding a knife, according to a department news release. The man, whose identity was never disclosed, survived and the Rangers cleared officers of any wrongdoing. 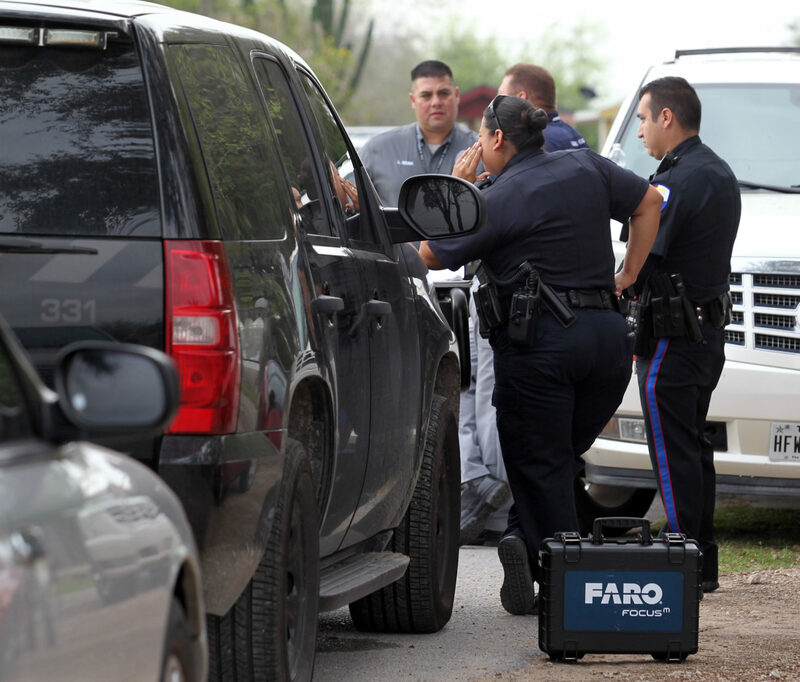 Whether Torres plans to hold a news conference for any similar cases remains unknown. “At the time we’re able to provide more information, we’ll be happy to do so,” he said.